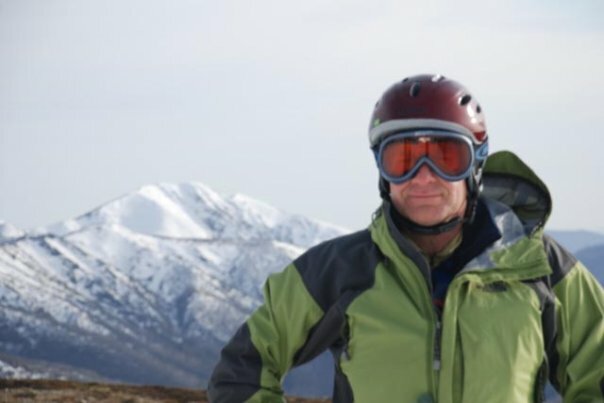 Peter Campbell joined BSAR over 30 years ago, as a member of the Latrobe Mountaineering Club and he has participated in numerous searches and training weekends since. He served on the BSAR committee as LMC club delegate for 15 years and more recently as a Field Organiser since 1993. With the demise of LMC, he was one of our first individual members through Bushwalking Victoria. Peter’s preferred outdoor activities range from ski mountaineering and photography through to cycling and kite surfing. As with all of Peter’s interests, each is approached with passion and energy. Peter’s particular interest in ski mountaineering saw him take on organising of the BSAR steep snow and ice training weekends since 1995. During this time he has reviewed and developed our processes around alpine search and rescue training, clarifying the level of specialist skill and experience that members require for these searches. Peter recognised the need for BSAR members to have a higher profile. During the 1990s he organised the purchase of the BSAR polar fleece jacket for members. At that time fluoro green arm bands and pack covers were all we had to identify ourselves, so the jacket was a big step forward. Peter has attended 22 searches since 1983. More recently Peter undertook the complete revision and update of the BSAR website. His work has substantially improved BSAR’s interface with members and our profile in the community.